Smokin’ Hot Local Brews: Harry’s BBQ Night Pops Again! It’s about time to roll out the ole smoker again, as Harry’s Pizzeria welcomes Wynwood Brewing Co. for a night of beer and BBQ in Miami’s Design District on Tuesday, May 19th beginning at 6:30pm! After popping up its first BBQ night back in August with Athens, GA’s Terrapin Beer Co., Michael Schwartz’s casual neighborhood joint is pairing up with Miami’s own Wynwood Brewing Co., as well as chef Leonardo Maurelli, an Alabama-based chef who has known Michael since the beginning of Michael’s Genuine Home Brew’s story. Tickets are now live HERE for BBQ Night in Pizzaland! Bucking the Trend: Dave doing his bearded brewer thing at Buck’s Beer Garden’s inaugural event at The Raleigh South Beach on March 5. Our last April event is this Thursday with Funky Buddha Brewery. 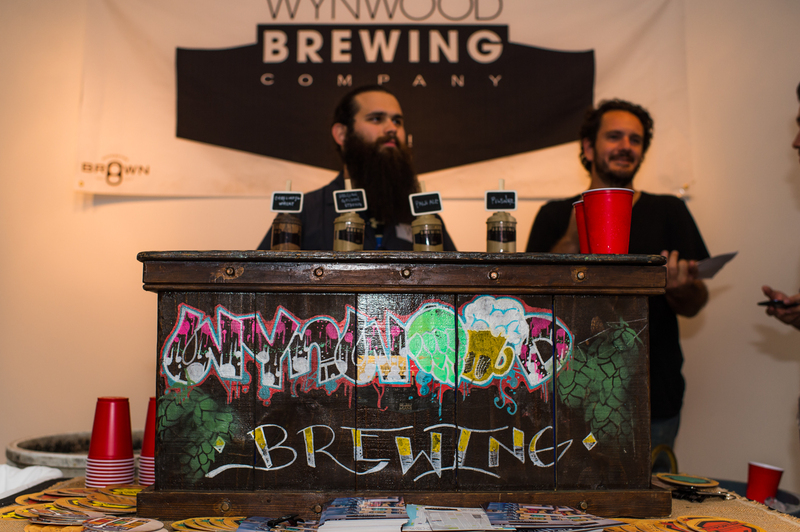 When it opened its doors in 2011, Wynwood Brewing Co. was the first craft production facility in Miami, soon receiving recognition on the national stage. In 2014, Pop’s Porter took home a gold medal at the Great American Beer Festival, akin to the James Beard Foundation Awards for the craft beer industry — huge for Miami and its emerging craft brewing community which no doubt got a jolt from this coup. Wynwood’s mission has a familiar ring to us at The Genuine Hospitality Group, to bring “fresh, delicious, and creative beers” to South Floridians. May and June bring a big milestone, David shares. Wynwood will take their beer beyond growlers at the Tap Room and begin bottling La Rubia and Pop’s Porter in a limited addition 22-ounce format. Harry’s always seems to have at least one Wynwood style on its 4-tap system, and its bottling gives us more flexibility in terms of what we can offer from its portfolio in the future. So what of the BBQ… We are excited to welcome chef Leonardo Maurelli of Central in Montgomery, Alabama who was there when Michael was introduced to Back Forty Beer Company at a 2011 Auburn University event for tornado relief. A native of the Republic of Panama, Leonardo shares his unique multicultural take on traditional southern dishes and cuisine. We know he will bring the BBQ mojo on a collaborative menu with Harry’s own chef de cuisine Daniel Ramirez! Tickets are $68 and include it all — an indoor and outdoor stationed menu of BBQ, sides and dessert, all you care to drink Wynwood beer (special treatments, too!) from our counter, tax and gratuity. We love mixing it up at Harry’s Pizzeria and can’t wait to start the summer off with some BBQ! BBQ, craft beer, Design District, Great American Beer Festival, local brewery, pop-up, smoker, Wynwood Brewing Co.